When you are looking for top-notch roofing service to repair your commercial property’s roof, choose ProCraft Exteriors. Our commercial roofing company in Anderson, MO offers expert service with the goal to provide your business with a safe and secure roof. Our trained roofers can supply you with the commercial roofing services you require when you need them. We work with you to find the best solution for your roofing system and provide a huge selection of roofing options to guarantee you get the best for your concerns. Our services make us a great provider for any of your commercial roofing needs, from initial installation to replacement or repair work. Contact our commercial roofing company in Anderson, MO now at (314) 786-3732 for all of your roofing requirements. Commercial Metal Roofing Repair / Install The best protection from storms and fire is available for commercial properties with metal roofing. Most commercial properties have flat roofing systems as their choice for roofing. In order to maintain these systems at their best, your structure needs a commercial roofing company that specializes in the repair and restoration of flat roof systems. To start on your commercial roofing company service, simply reach out to our skilled roofing contractors at (314) 786-3732. There may come a time when your roof damage is too severe for just repair and may need replacement. This service may be loud, intrusive, and quite expensive, making it difficult. Need another option that will be affordable, quick, and offer you quality roofing? 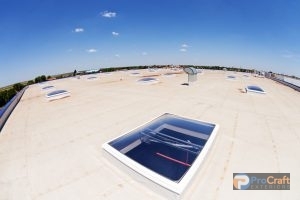 This alternative is known as roof restoration and it may repair and better your roofing system, supplying it with additional advantages that stop ponding and add energy efficiency. Contact the professional roofing contractors at ProCraft Exteriors for roof restoration in Anderson, MO by dialing (314) 786-3732. Acrylic Roof Contractor Get a roof coating that is flexible enough to handle seasonal intense temperatures while remaining durable enough to protect against damage. Commercial Roof Restoration If you are in need of an alternative to replacement, restoration is a great choice. 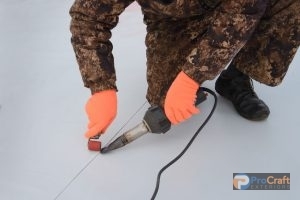 Elastomeric Roof Contractor Choose elastomeric roof coating if you are worried about potential leaks on your commercial roof. Polyurea Roof Contractor This coating cures fast to give you quality defense for your commercial building. There is a way for you to keep your commercial roofing system in top shape and ensure it lasts for many years to come in Anderson, MO. Each commercial roof is different and at ProCraft Exteriors, we understand this. We are sure to have a roof coating option available for your particular roofing system among our commercial roofing company’s choices. Urethane Modified Acrylic This roof coating offers comparable benefits to acrylic roof coating, but with extra strength and low maintenance needs. 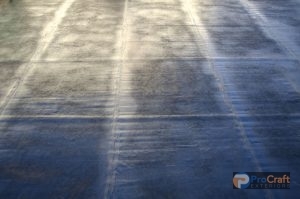 Does your roofing system require a coating application in Anderson, MO for improved protections? Call (314) 786-3732 if you are in need of expert roofing services from the trained team at our commercial roofing company. When it is time for a new commercial roof system or replacement, you will find you have many options available for your system. At ProCraft Exteriors, we can’t advocate the popular TPO, EPDM, and PVC membranes enough for your roof needs. Water, UV, and environmental factors are no problem for these materials, which not only offer you high quality protection but have different additional benefits varying between each type. EPDM is chosen for its durability, while PVC is the optimal choice for environmental factor damage protection for commercial properties. 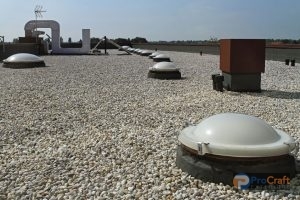 Commercial properties that choose TPO roofs usually do so because of its energy efficient abilities. If you need more information on our materials, we are available to answer your questions and match you to the best one. Roof coating can be applied to the roofing system to help enhance your systems defenses. You can enhance your roof by choosing from our roof coatings, such as elastomeric, silicone, and acrylic roof coatings or foam roofing to provide additional benefits. These applications can increase energy efficiency, waterproofing, repair damage, and more. Our commercial roofing company is always on the lookout for options that will be advantageous for your roof system while bringing you the best in protection. Let’s get started today. Call us at (314) 786-3732 for more commercial roof service information in Anderson, MO.